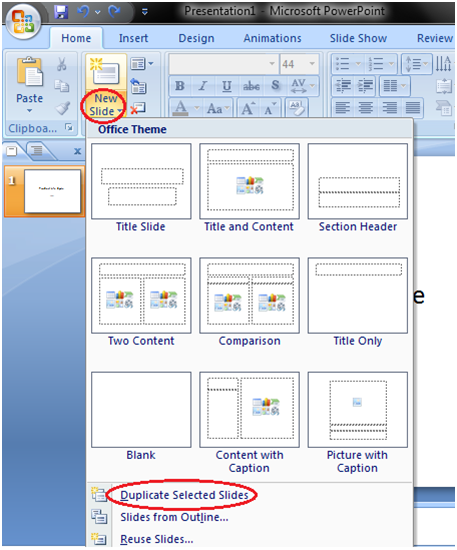 There are multiple ways to add slide in PowerPoint presentation. 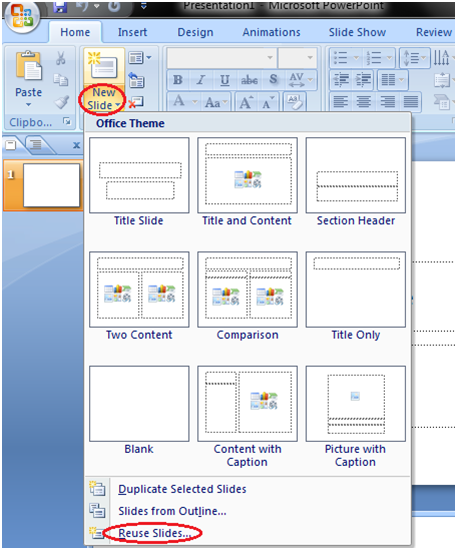 The frequently used option is to click the New Slide button. 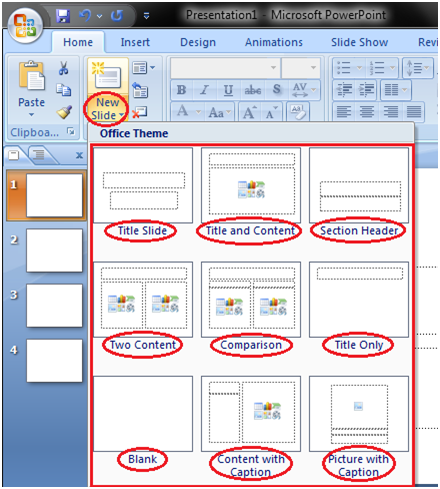 The other ways to add a slide are: Office Themes, Duplicate Selected Slide and Reuse Slides.